It is made of metal and gets a noble vintage look thanks to beautiful wooden side parts. 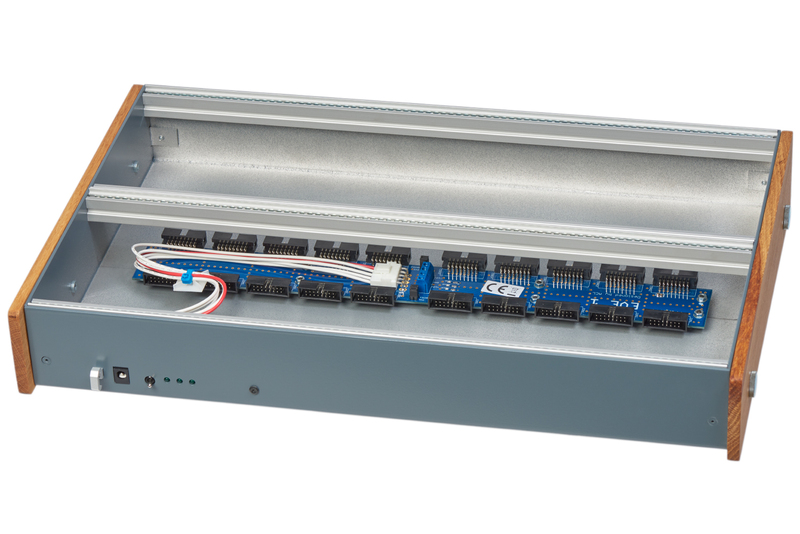 This 6U case is flat and offers two rows of 84 HP for the installation of modules. 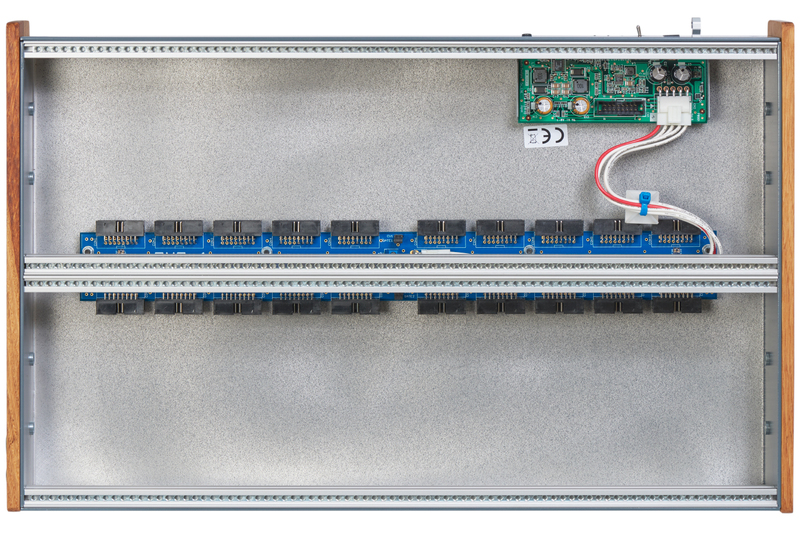 The integrated 4 HP wide KAZU power solution with switching PSU and EVE1 busboard works extremely accurately and delivers very clean power. 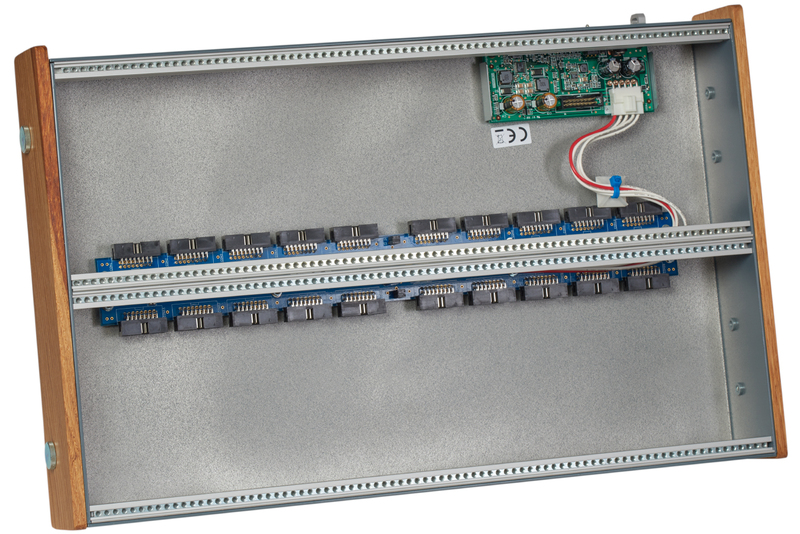 A total of up to 20 modules can be connected. 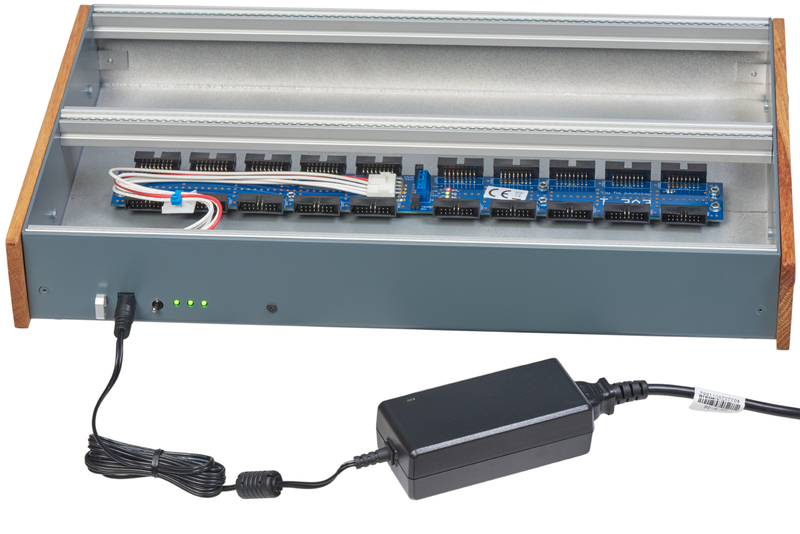 Switching power supply, developed especially for modular systems. Minimal voltage peaks and interferences. – The result: An extremely low noise floor and very honest sound. +12 V – Regulated, filtered, less than 2 mV fluctuations and noise at full capacity, typically 1,5 mV. -12 V – Regulated, filtered, less than 2 mV fluctuations and noise at full capacity, typically 1,5 mV. +5 V – Unregulated, filtered, less than 40 mV fluctuations and noise at full capacity, typically 30 mV. An external power supply (15 V DC) is included in delivery.